Your engine is the heart of your vehicle, and oil is its lifeblood. Our NewRoads GM Certified Service technicians are trained to understand how your vehicle uses oil and how it monitors oil life. An oil change from our Certified Service experts not only gives you great service, convenience, and a great price, you also receive the added value of knowing that nobody knows your vehicle better. 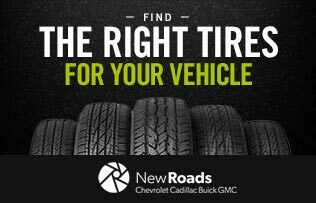 Head to your NewRoads Chevrolet Cadillac Buick GMC when it’s time for your vehicle’s next oil change. It’s a good idea to periodically check your oil. Consult your Owner’s Manual for the proper procedure to check your oil level. From conventional to full synthetic, your Certified Service experts can offer you helpful advice on a range of oil types, including ACDelco Conventional Oil and ACDelco dexos Gen 2 Full Synthetic. Certified Service experts will always know the right grade of oil to use for your specific vehicle. GM vehicles are equipped with an engine Oil Life Monitoring System. This system interprets your vehicle’s speed, engine temperature, personal driving habits, and continuously monitors operating conditions - which helps determine when it’s the appropriate time for an oil change. Our NewRoads Certified Service technicians will reset your Oil Life Monitoring System after every oil change. To reset the system yourself, ask your technician how or consult your Owner’s Manual. Lack of proper engine oil maintenance can potentially damage your engine, necessitating costly repairs. Below, you will find a number of indicators that will help you prevent damage to your engine. When the CHANGE ENGINE OIL SOON message displays, service is required for your vehicle as soon as possible. In some cases, the Oil Life Monitoring System might not indicate the need for vehicle service for up to a year. The engine oil and filter must be changed at least once a year and the Oil Life Monitoring System must be reset. If your vehicle is not equipped with an Oil Life Monitoring System, consult your Service and Maintenance Schedule located in your vehicle Owner's Manual. Heavy smoke from your tailpipe, perhaps with a blue tinge, is a strong indicator that oil is being burned within your engine. This can be caused by a number of factors. 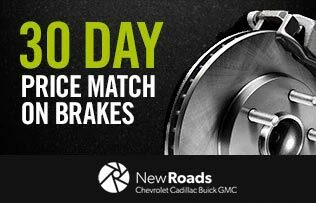 If you are experiencing any unusual tailpipe emissions, see your NewRoads Certified Service experts right away. One of the most immediate signs of an issue with your oil is a noticeable leak. If you detect a leak, address it with your Certified Service expert as soon as possible. Catching a problem early can save you time and money and prevent a potential roadside emergency. Low engine oil pressure or low oil level can cause extreme and costly damage to your engine. If this message displays, safely bring your vehicle to a stop as soon as is practicable. Check the oil level immediately or contact Roadside Assistance to get you on your way or to bring your vehicle here to NewRoads. One of the most recognizable and dangerous oil warning signs is visible smoke coming from your engine. Oil leaking within the engine compartment burns when it drips onto hot engine parts and can be potentially hazardous. Leaks of this type should be addressed immediately by roadside assistance.